Wind Europe promises a 1:30-hour event that will “provide an overview of the current state of the NER 300 programme and its future. Experiences from [three] funded wind energy projects will be shared with the audience and a panel will discuss challenges and opportunities identified.” More information is available here. 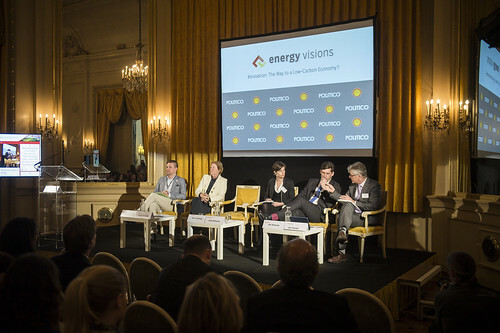 As part of their Energy Visions partnership, Politico and Shell co-organised the event ‘Innovation: the Way to a Low-Carbon Economy?’, with panellists including Fredrick Federley and Ian Duncan, the MEPs most closely involved with ETS Innovation Fund. 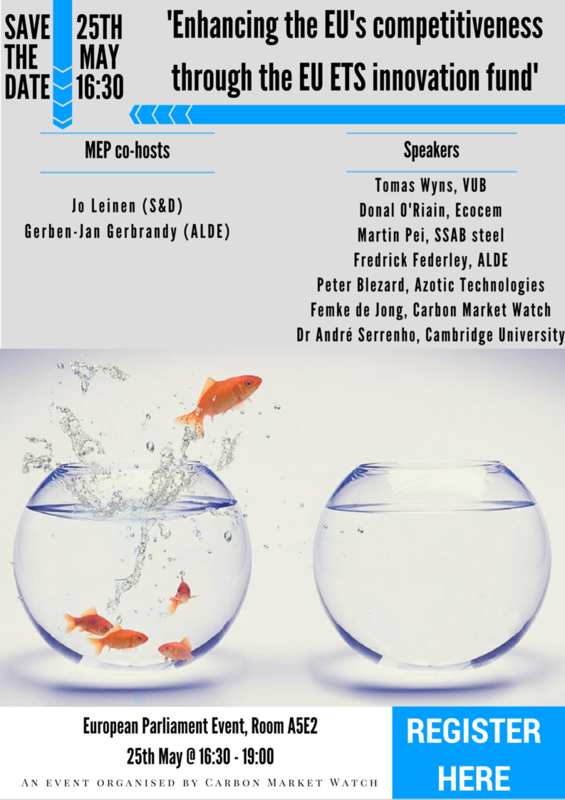 Carbon Market Watch organised this ETS Innovation Fund event at the European Parliament on 25 May. Click image to go to registration form. This event by the EPP political group in the European Parliament coincided with the publication of its position paper on the ETS.